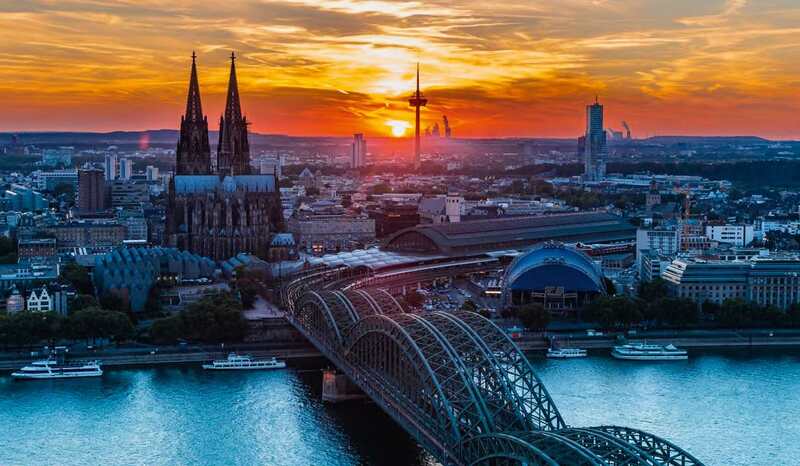 It is with great pleasure that I invite you all to attend the 47th annual meeting of the European Teratology Society in Cologne, Germany from Tuesday 17th until Friday 20th September 2019. This is a joint conference with the European Society of Toxicologic Pathology and will take place in the conveniently located Hotel Maternushaus, in the centre of Cologne, within easy reach of the many cultural locations within this city. Free communication and poster presentations will provide opportunity for all participants to present and discuss their activities. In addition to the scientific programme, which will provide a stimulating atmosphere for scientific exchanges as well as opportunity to make new acquaintances, there is Cologne: The conference hotel is located in the Altstadt-North district of Cologne and is very close to galleries, a basilica and the famous gothic Cologne Cathedral. The Old Town with Alter Markt and Heumarkt is the centre of Cologne’s old neighbourhood of handicrafts and trade, and these are major attractions for Cologne residents and visitors. Surrounded by many small restaurants and cafés and located at the borders of the river Rhine, this area is an inviting place to relax and enjoy life, especially in the month of September. Finally, with resources in mind: in addition to the blocks of rooms reserved in the Hotel Maternushaus at preferential rates for the conference delegates, cheaper accommodation options are available in Cologne to meet all budgets. I look forward to welcoming you and your colleagues to the ETS conference in 2019. Welcome to Cologne! Participants interested in giving an oral or poster presentation are invited to submit an abstract. Work on topics related to the main symposia or the education course and ETS/ TS Discussion, will be given preference for free communications. Submitted abstracts will be reviewed by the ETS officers. Accepted abstracts received until 30th April 2019 will be published in the Special Conference Issue of Reproductive Toxicology. Abstracts received after this date will be distributed at the meeting. Authors names should appear in bold, with surname first followed by full first name and second initial. Presenting author should be indicated with an asterisk after surname. Example: Beekhuijzen*1 Manon, Mantovani2 Alberto, Barrow3 Paul. Failure to follow this format will result in incorrect indexing in the journal. Up to three references may be cited indicated by numbers in square brackets in line with the text. The reference style of Reproductive Toxicology should be used (https://www.elsevier.com/journals/reproductive-toxicology/0890-6238/guideforauthors#20300). The ETS and Elsevier Publication Award for best Reproductive Toxicology manuscript in the previous year. The Elsevier Best Presentation Award for best poster or free communication at the conference. The ETS Presidents’ Award lecture, given by an esteemed member of the ETS at the invitation of the president. On the evening of Tuesday 17th September we would like to invite you to join us at the Welcome Reception. The Reception will be a joint event with the European Society of Toxicologic Pathology (ESTP). The Reception will take place in the congress venue where you will have the opportunity to meet colleagues and friends, to chat and prepare yourself for the following days of the conference. The Reception will last 2 hours, with drinks and light snacks. There are several restaurants in walking distance to the venue to go out for dinner afterwards. Join us, have a drink and enjoy the evening. The Young Scientists Happy Hour, an informal get-together to foster networking opportunities for students, researchers and professionals of all ages will take place on Tuesday 17th September at the same venue where the Welcome Reception takes place. The Conference dinner will take place in the ‘’Wartesaal am Dom“ on Thursday 19th September and will also be a joint event with ESTP. You are invited to enjoy a delicious dinner and to meet friends and colleagues in a relaxed atmosphere. The Restaurant is located in the old waiting hall of the historic train station of Cologne. It is located right next to the new main train station and the famous cathedral of Cologne. It is only 900 m walking distance from the congress venue, you walk through the old part of the town and might want to make a short stop at the cathedral. This is the perfect opportunity to relax and reflect on the congress and engage in spirited conversation. Please register online at: http://www.etsoc.com/meeting-registration you will be able to pay directly by credit card (American Express, Master Card and Visa). The fees quoted are inclusive of VAT (19%). A VAT receipt will be issued to permit VAT registered companies to reclaim the tax. Until 1 July 2019 a 60% refund of the registration fee will be given. After 1 July 2019, no registration fees will be refunded. The congress hotel (Maternushaus Köln) is located in the city center, close to the main station where you can find public transport. The Cologne Cathedral, one of the most famous cultural highlight, is also in walking distance. All over Cologne you can find hotels and hostels in different categories. Make your reservation as early as possible. Cologne is well-booked in September because of exhibitions! The city of Cologne charges an additional fee of 5% of the accommodation rate. Business travelers do not have to pay the fee! Please ask the hotel at the booking what you need to do to not pay the cultural fee. Make your reservation as soon as possible. In order to guarantee accommodation you need to provide your credit card details tot he hotel. The information will only be used in case of no-show or late cancellation. The Maternushaus hotel is located in the Altstadt-North district of Cologne and is very close to galleries, a basilica and the famous gothic Cologne Cathedral. The Old Town with Alter Markt and Heumarkt is the centre of Cologne’s old neighbourhood of handicrafts and trade, and these are major attractions for Cologne residents and visitors. Surrounded by many small restaurants and cafés and located at the borders of the river Rhine, this area is an inviting place to relax and enjoy life, especially in the month September. Cologne has a temperate climate, with moderate summer temperatures and mild winters. September generally has very pleasant temperatures. The average maximum temperature lies around 18.0°C (64.4°F). You will see the sun sometimes in this month, it has 135 hours of sun. So what to wear in September? Visitors traveling to Cologne should plan on bringing a totally waterproof rain jacket since it will be raining some days. Plan on layering your clothes. Some days or part of the day it will be nice and warm and some moments it can be a bit chilly. Cologne Bonn Airport is the largest low-cost hub in continental Europe. Around 60 airlines connect the Airport to over 130 domestic and international destinations in 39 countries. 2004 saw the opening of a train station right at the heart of the airport, and since then the airport has benefited from excellent public transport links with the city centre. The airport is just a 14 minute ride from Cologne central station with S-Bahn line 1 (Cologne- Troisdorf), and just an 11 minute trip with the Regional Express train RE 8 (Rhein-Erft- Express). Many ICE long-distance trains also stop at the airport train station. S-Bahn fare (ticket zone 1b) is currently € 2.90 one-way. Frankfurt Rhein Main International Airport (IATA: FRA) is the largest airport in Germany, served by all major international airlines. ICE (InterCityExpress) high speed trains connect Frankfurt Airport and Cologne central station in less than one hour. You can book your ticket with the Deutsche Bahn (https://www.bahn.de). Central Railway Station Cologne is served by two major railway stations – Köln Hauptbahnhof and Köln-Deutz. Cologne requires all cars to have a “Low Emissions” sticker in order to drive around in the city centre (Low Emission Zone, “Umweltzone”). Information on obtaining a sticker (which must be done at least several weeks in advance) is available here. For cheap parking, with quick connections to central cologne, use park and ride (“park und ride”). At some stations, parking is free when you present a validated transit ticket on exit. Discovering the city by bus and tram is easy because Cologne is well connected to the bus and tram network. The tarif levels depend on the distance from the city or the place where you start your journey. Even you can get day tickets for one person or for groups, for one or four journeys, and, of course, for longer periods. With the Köln WelcomeCard tourists can use the public transport for 24 hours and you also receive reductions of up to 50 % from more than 100 partners. The different tickets are available at customer service centres. Even most of them are available at the ticket vending machines in busses, undergrounds and trams as well as at the ticket machines at most tram stops. Day ticket for many desinations: To the cathedral, the museums or for music and shopping – the 5 persons day ticket enables small groups to comfortably reach many destinations in one day – between 9 in the morning and 3 at night, on weekends and bank holidays, even from midnight. For all of Cologne simply select price category 1b on the ticket machine of the stop or in the KVB vehicle and pay with coins or card. This ticket is automatically validated. If you purchase your ticket at a sales outlet, please validate as soon as enter the vehicle (red validating machine). You can exchange your foreign currency and travelers checks at German banks, exchange bureau (called “Wechselstube” or “Geldwechsel” in German), airports, railway stations and major hotels. German Banks are usually open Monday through Friday, 8:30 a.m. – 4:00 p.m. One of the fastest ways to get money cash out is by using an ATM, called “Geldautomat” in German. They are ubiquitous in German cities and can be accessed 24/7. Make sure you know your card PIN number before travelling as this will be needed to access your account on ATMs. Visa, MasterCard, and American Express are usually accepted in Germany – but not everywhere, and often not in taxis. Electricity in Germany is 230 Volts, alternating at 50 cycles per second. If you travel with a device that does not accept 230 Volts at 50 Hertz, you will need a voltage converter. 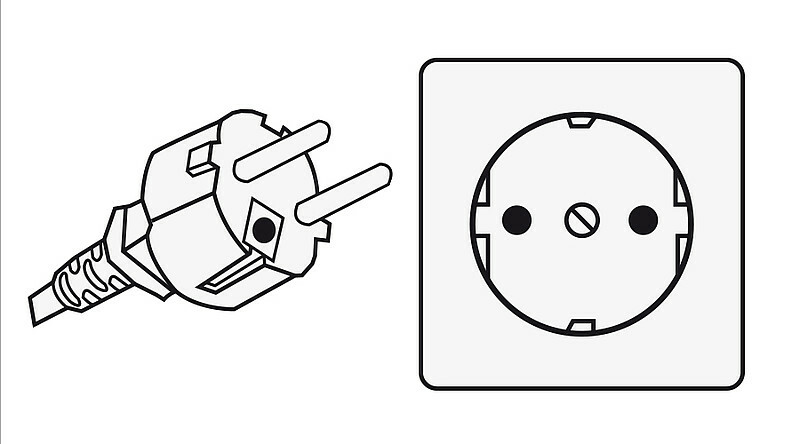 Outlets in Germany generally accept 1 type of plug: Two round pins. If your appliances plug has a different shape, you may need a plug adapter. The registration fee does not cover insurance for the delegates. The organizers recommend that delegates take out an insurance in their home country to cover pre- journey cancellation for personal reasons and to cover accidents, medical expenses and loss of personal belongings during the visit. No vaccinations are needed when visiting Germany. Please check on the list of the Federal Foreign Office which you will find on the following link if you need to apply for a visa to travel to Germany. Many thanks also to our sponsors and exhibitors of last year’s meeting who made it a success.